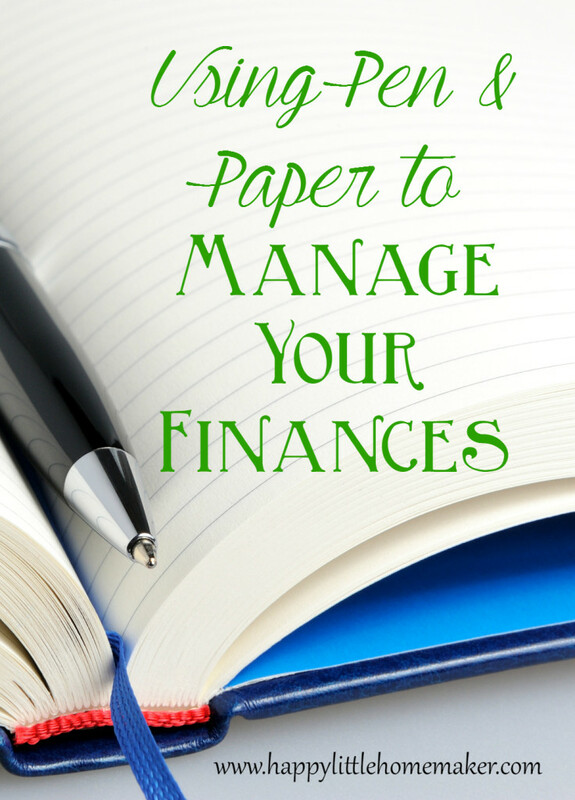 How I Keep Our Finances in Check…With Pencil & Paper! While things look pretty good now, they weren’t always that way. In 2008, as everything in the country crashed, I stopped working, had our first baby, and our business was in the tank. Due to some wise moves a few years earlier, we were able to keep our house, remain debt free and live without needing to use public assistance. Things aren’t as hard now, thanks to a booming economy, but we continue to stay on top of them for rainy days ahead with just paper and pencil (basically). Pay off your debts from smallest to largest (not the house). Save 3-6 months of expenses. If we had not been on his plan, we probably have lost our house. Would that have been terrible? Well, it’s one thing to not want a house, it’s another to LOSE it, ya know? We also pay ourselves first. What this means for US is that we set aside money for large, predictable expenses. For instance, holidays. Not just Christmas, but birthdays, Valentine’s, Halloween costumes, Easter baskets & more. I added up all I like to spend, divided it by 12 and put away to cover those expenses. We also save up for life insurance premiums, car repairs, homeschool expenses, HSA deposits, money to buy 1/2 a cow, and more. Being a homeschool mom of three not so big kids, I have everything I can set up in auto debit. All those savings goals above? Auto transferred to the appropriate account. Utilities? Auto pay. Mortgage? Auto pay. On our cash budget, we either pay at the time of service or have it on auto pay. It makes me crazy when someone (usually the hospital or other medical facility) won’t just take my money. They send me bill sometimes months later where it collects dust because I don’t have a system for it, because I get 2-4 invoices like this A YEAR. End rant. Ahem. There are many kinds of budgets. Just check Pinterest and you will find at least half a dozen ways of making one. As Dave Ramsey suggests, we use a (theoretical) zero-based budget. To do this, we estimate income make sure our expenses are exactly equal to our income. I call it theoretical because I never could manage all those cash envelopes, either actual or virtual. Instead, I know about how much I have to spend on each category and they tend to take turns. One month I buy a case of furnace filters & light bulbs. The next I buy everyone boots or something. It all evens out in the end and I have a mental number to rein me in. It helps me to not spend $600 on clothes in one trip. Will this deal come again? When will I actually get around to reading/using this? Do I need all 4 or will 1 or 2 do? For years, I couldn’t make those questions habit. But because I look at it almost daily, it’s easier to do. I can’t buy $150 of books without realizing it. Or $45 in pretty planner stickers (I’m looking at you Etsy!). Or $100 of makeup. All super easy to do when you aren’t paying attention. 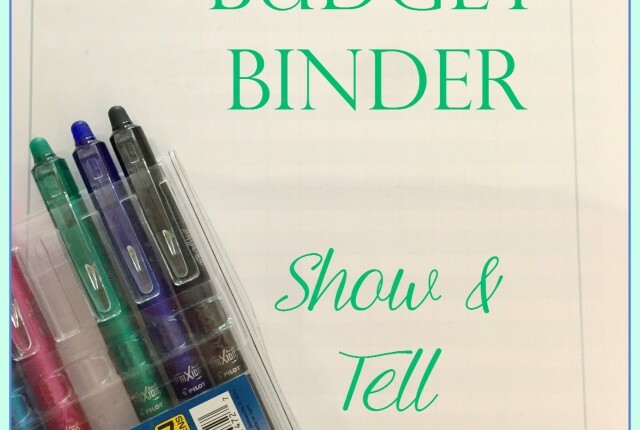 If you missed last week’s post, check out my budget binder show and tell post. In it, I shared how I use my budget binder to manage all our money in just minutes a day with just pen & paper. Do you do the finances or does your spouse? Are you a spender or a saver?